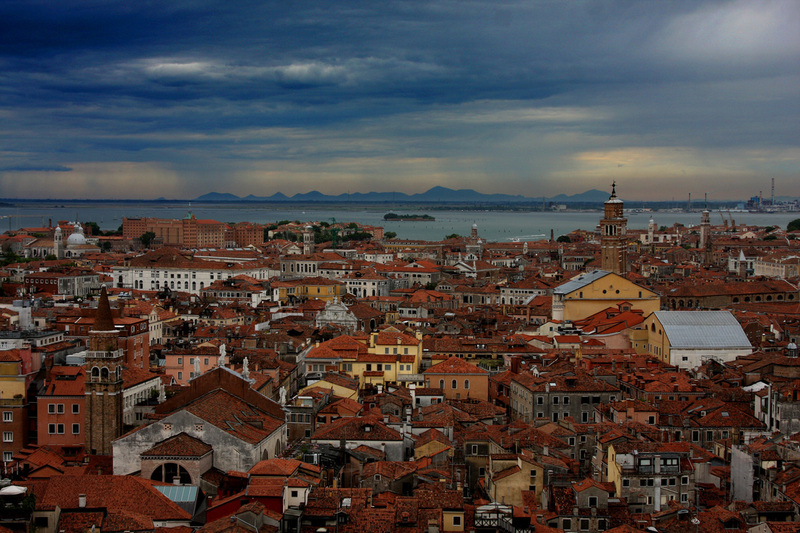 A small slice of Venice as seen from atop the Campanile in Piazza San Marco. It was a rainy morning and we were in the first group to make it to the top. The 9 a.m. bells were still ringing when we got out of the elevator. It was deafening, but a beautiful experience.